Consolidation, Cost reduction, automation or move of complete applications from one physical location to another – these are some of the advantages of the virtualization technologies. It is appropriate briefly to recapitulate the benefits achieved so far with virtualization. It may be just a few drops in the ocean, but still fewer physical servers in data center mean less power during operation. The creation of virtual machines (VMs) is a de facto contribution to a better climate balance and a greener environment. With the saving of energy and the reduction of data center goes along, fewer servers mean less floor space, less cabling, and racks. In any case, with fewer physical servers enough space here to grow within the existing data center walls. What to do with the servers that you no longer need? You could use right for the establishment or enlargement of its own test center to test new applications and tools in peace and without major additional costs. VMs can be used for testing and development. VMs are easily installed, so that the cumbersome and time-consuming requests for a server omitted if a corporate department needs a new application. Everything that requires can be provisioned in minutes. The same applies to clones of existing applications or to try something new. To engage in a specific hardware vendor is not necessarily bad. They know each other, has experience with the product lines, the maintenance, the service and the SLAs, get with the times and conditions. In a virtualized server environment, you have the freedom of choice whenever a new server is required as the VM runs independently of the underlying hardware layer. On this basis, you can negotiate well with the original server suppliers when it comes to the delivery of new equipment. No matter how loud the names of the various vendors of server virtualization, now almost all have identical functions that can improve availability and business continuity. This includes live migration, storage migration, fault tolerance, high availability and resource management. Virtual machines can thus be easily moved and protected from unwanted downtime. Virtual Disaster Recovery is not really virtual, but very real. This is achieved through three components of the virtualization infrastructure: The first relates to the abstraction of the hardware. VMs can be independent of a special server manufacturer or a particular server model install. Second, one needs on a physical level, a smaller-sized DR site, which also leads to cost savings. Third, server virtualization provides software tools that automate the failover process for most platforms. In the physical world, it has been customary to assign a separate server for each application. The concern for this approach is that individual software programs were clean isolated from each other. But that also resulted in a jumble of computers, many of which were still not optimally utilized. And the cost of this server landscape quickly ran out of control. In virtualization model, the necessary features and tools are available to VMs and the applications clearly distinguish between CPU, memory and storage can be exactly utilized, reducing costs in such a model. Almost every company still has old applications either developed a long time ago or shopped for specific purposes. They do their services but do not run on modern operating systems or need completely dedicated hardware requirements. The VMs can be used to run the legacy applications resulting in hardware and cost reduction. The VMs can be built with the older operating system and with minimum hardware configuration. Who virtualized its server and abstracted from the underlying hardware layer, has been a bit towards cloud moves. Here and there you have parts of the IT infrastructure in the outsourcing process outsourced to external service providers. 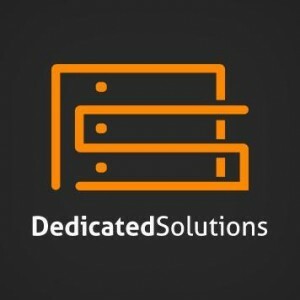 DedicatedSolutions provides seamless infrastructure solutions that draw on the best of on-premise, hosted and private cloud environments. Based on our efficient services and solutions at the best price, DedicatedSolutions offers private cloud hosting platform, software, tools, hardware, licensing and support required for a ready-to-go virtual environment accessible anytime, anywhere. This entry was posted in DedicatedSolutions, Virtualization and tagged DedicatedSolutions, Desktop Virtualization, Disaster Recovery, server virtualization on June 20, 2016 by marketing.